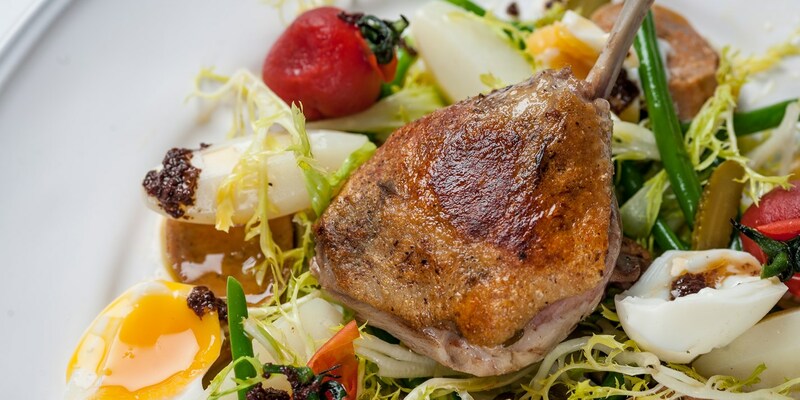 Rich and gamey, duck is a great ingredient to use in a salad, where it can be balanced by softer flavours and enhanced by a well-chosen dressing. Duck salads can be simple or innovative dependent on your needs. Find some delicious duck salad recipes in this collection, including a duck breast salad from Tom Aikens, Adam Byatt's duck salad Lyonnaise and salad of duck breast with orange, pine kernels and dandelion from Adam Stokes.